"Woldingham were thrilled to win the Marketing Award for our ‘Hidden Gem’ campaign and, indeed, delighted that we are ‘hidden’ no longer. The judges had clearly read our submission very thoroughly and understood our marketing strategy well. The whole school feels very proud that the work we put into communications has been recognised by this award." We were so thrilled to receive the award for Pre Prep / Prep School of the Year. It is the strength, cohesiveness and commitment of our school community, working together so effectively with a common vision, that has led to the School’s considerable success in recent times. "Wilds Lodge are so proud to receive the creativity award. We are delighted that our belief and passion about the creative therapies in education has been shared. We are driven by creativity and the positive impact of the arts on the emotional wellbeing of our pupils. It is exciting to think that winning this award could inspire other educational settings to access the arts therapies and introduce alternative ways of healthy expression and positive mental health." 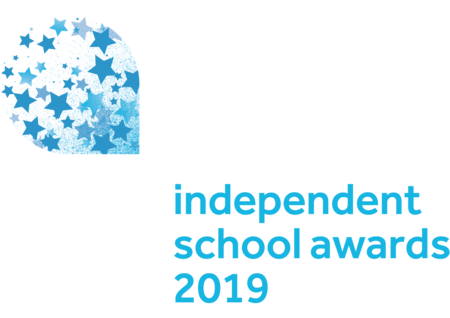 “The Tes continues to be the most significant and influential source of connection with UK education for international schools, and as such these awards enjoys significant kudos. The administration of the awards was superb, and the event itself was quite outstanding. "We feel absolutely privileged to have won this award. It's a real testament to the hard work, passion and enthusiasm of our staff, students and families, all of whom make our little school so wonderful. Our wellbeing programme is unique and has changed the lives of many young autistic people. To have recognition of this means so much to us." “We are delighted to have been awarded the TES Creativity Award. I would like to thank the hard work of our Entrepreneur in Residence and Writer in Residence to ensure we stay at the forefront of creativity in learning and teaching." "We were absolutely delighted to receive the award and proud to do so for all sorts of reasons - as thanks to all those who have given their time to the community, for those who have spent time making partnerships work, for the whole community of Bolton who can take pride in their working together for the common good being recognised nationally as an example for all." "We entered for the “SLT of the year” category not in any sense to glorify the team, but to seek recognition for the significant work we have done together on pupils’ wellbeing. We were delighted to win the category. To us it represented vital recognition of both the central importance of wellbeing within the school and the necessity for coherent work across every aspect of school life, as represented (and led) by our Senior Team. It’s certainly validated our work and enabled (and encouraged) us to press on with further work in this vital realm of school life. So thank you!" "Winning in the British International School category meant a huge amount to us here at TBS. As a small, independently run institution it was so satisfying to be celebrated for the excellent work our students and teachers do on an international stage. It was particularly important to us that our entry had focused on the role of community service and learning outside the classroom. The recognition of the TES of our work sends a strong and important message; that by being collaborative and caring for those around us, we do immense good for our own students as well as make a positive contribution to our wider community. We continue to place this at the forefront of our school vision, and the award has made our students even more ambitious and pushed them on to attempt even more challenging projects." "Winning the Boarding Initiative of the Year gave our boarding community, both staff and pupils a real boost. It has inspired us to go on and look at other initiatives, we are keen to win again and delighted that our hard work and sense of community was nationally recognised!" "Winning the award for Best Independent – Maintained School Collaboration for 2014 has been such a thrilling experience for all concerned. To receive such recognition has meant so much to our school and to the very hardworking staff that have created our Sporting Outreach work over the last 8 years. We feel incredibly proud to have our school recognised in this way and what is clear, from the amount of celebration it has created, is that the award’s legacy will be to spur us on to develop and enhance our maintained sector outreach even further in the future!" "We feel absolutely privileged to have won British International School of 2014. It is a real testament to the hard work, passion and enthusiasm of our staff, students and parents, all of whom make our great school what it is. We were delighted to receive the award and it was a real pleasure to meet colleagues from other schools and strike up new friendships. We hope to apply again next year!" "You do not know how much satisfaction this award has given me and the school. One of the most satisfying experiences in my teaching career." "The impact that winning an award has on the whole school community is so positive and we are already thinking ahead about which category we might enter next year."